Discussione in '90' iniziata da frits, 7 Febbraio 2009.
giustificazioni, non parlo, non scrivo o non leggo italiano. 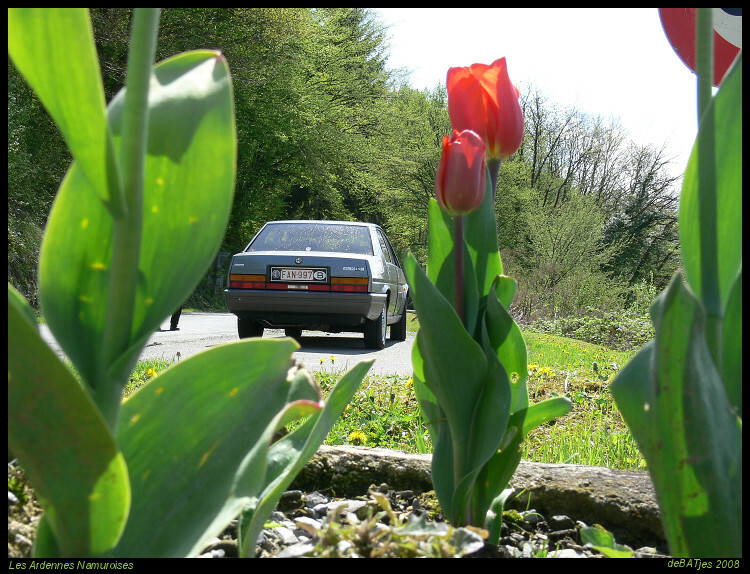 I'm from the Netherlands, and drive an Alfa Romeo 90 2.0i (1985). We (I and some other 90-drivers) founded , an international Alfa 90 register. Your all invited :cool001: especially if you own an Alfa 90. The site is Wiki-based, everyone can see the whole site, only to add/edit content you have to register/login. That is to prevent spam etcetera. Grazie to Clubalfa.it for the approval of me "making some noise" for the international 90 register. The first message says all. Already we have Alfa 90's from the Netherlands, Belgium, France, Austria, Australia, New-Zeeland and Sweden. Italy is still missing, I hope for many Italian 90's! Anybody who knows how many 90's are still on the road in Italy? We allready have 34 Novanta's from all over the world now !!! I hope this will change in the future !!! Thanks for your time again and lot's of greetings from Belgium . Non esistono piu i modelli della 90 in Italia? Oppure l'interesse di un registro non e cosi interessante? Non e mica possibile che tutti i modelli vengono da un'altra parte del mondo al posto dell'Italia, paese dove e nato il modello. Allready 93 cars in the register now !!! Thanks Silvershadow for promoting our register . .:blink:. And UP with an invitation : .:blink:. will be in Milano in the celebration weekend . That's why we decided to have ( as a warming up for the big festival ) an international Novantameet on Friday the 25th of June 2010 . The meeting will take place on a big farm in Cisliano , 20 km from Milano . It will start at 3 PM and will last 'till 7 PM . After this , you 'll have the possibility to stay at the farm for dinner . The farmer offers us a meal of Italians specialities including risotto , cheeses , sausages , ... and half a bottle of wine for the price of 20 euro per person . If you would like to participate in this event , please let me know as soon as possible , so I can send you all the details on the location . The meeting itself is free of charge . If you want to stay for dinner , please let me know before May 30 as well as how many people will participate . So the farmer has enough time to organise everything . Hope to see some of you there in June !